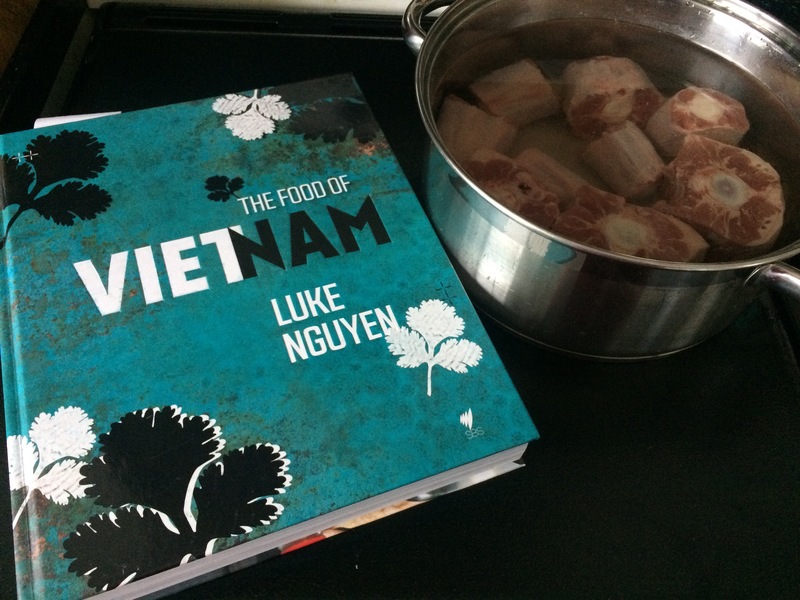 For my second Cookbook Challenge, Andrew chose one of my favourite (but not well used) cookbooks: The Food of Vietnam, by Luke Nguyen. I have a couple of books by him, and they are great to read as they have collections of recipes by region, so you feel like you are travelling around Vietnam with Nguyen as you leaf through the books. Nguyen is actually an Australian of Vietnamese heritage, and he owns the Red Lantern Vietnamese restaurant in Sydney. Andrew and I came across him on one of his TV cookery shows where he travelled around Vietnam and introduced dishes from different regions. Then four years ago we went on a dream holiday to Vietnam and got to try some of those dishes in real life. 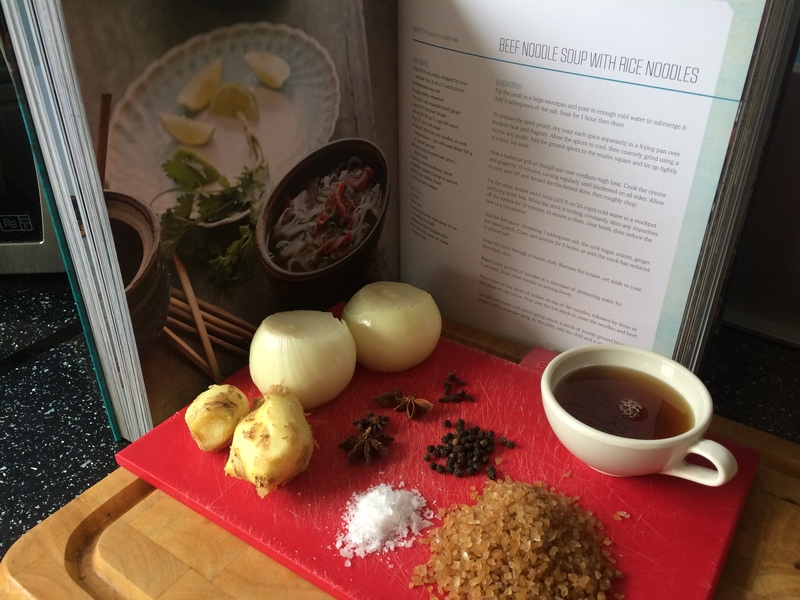 Since then I have enjoyed cooking Vietnamese food, which is generally light, fresh and healthy, and I was really pleased that Andrew picked this book for my next Cookbook Challenge. 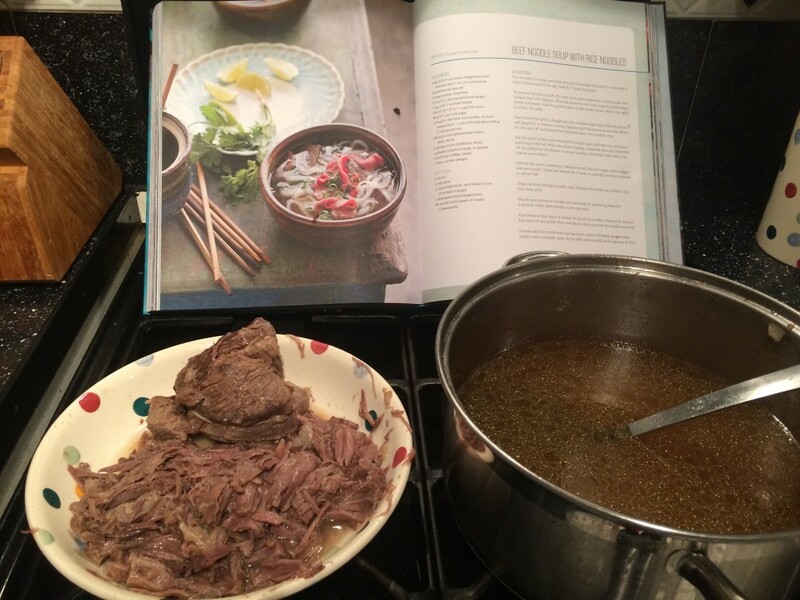 I picked out the beef noodle soup to make straight away, as I had always wanted to make this dish, having eaten beef pho (pronounced “fuh”) several times in Vietnam (although never for breakfast, as is tradition). I chose to also make salt and pepper prawns, as Andrew and I love salt and pepper squid so I thought this would be nice to try. Obviously for both of these dishes I needed good quality ingredients, which of course don’t come cheap! I tweeted Morley Butchers in Muswell Hill to check if they would have oxtail and brisket in stock for the weekend, and knew I could visit the fishmonger in Muswell Hill to collect some fat juicy prawns as well, so I was pretty much sorted, as everything else I needed was already in my cupboards. 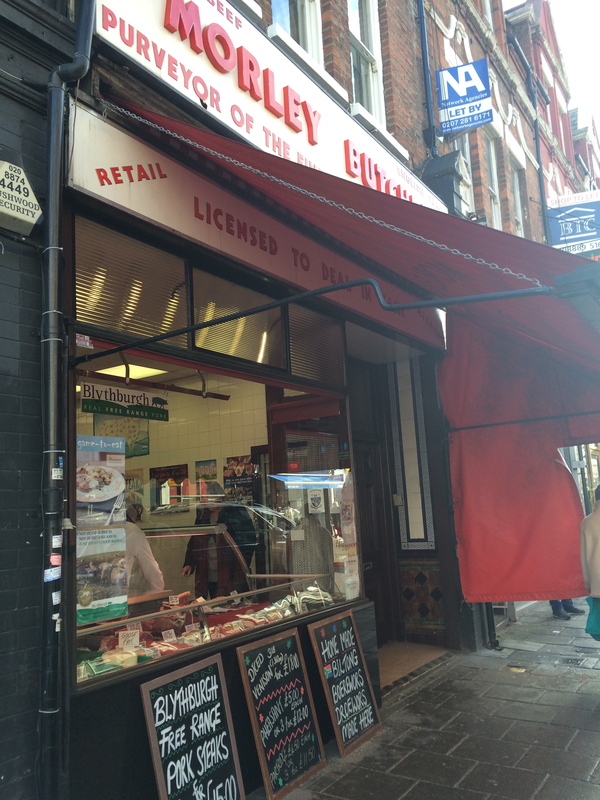 I have always preferred to buy meat and fish from high street butchers and fishmongers rather than supermarkets, as in my experience the quality is generally far superior to the supermarket, and you usually have more items to choose from. 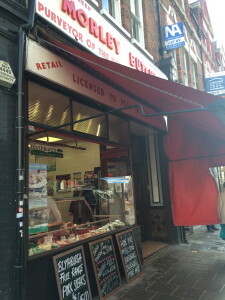 I am lucky enough to live near Green Lanes Fisheries (although I didn’t buy my prawns from here on this occasion), and have two fantastic butchers nearby: Frank Godfrey (where I buy my Christmas meat) and Morley Butcher. The guys at Morley could barely contain their shock and laughter when they realised I had ordered enough beef for 12 people … just for Andrew and me. I really should have checked the weights and portions before ordering the meat, but in the end it didn’t matter as I just froze half of the meat, and had 3 meals for us both. 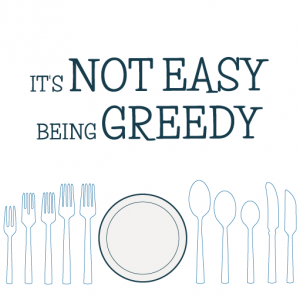 Anyway, we’re greedy, so always better to have more than less. 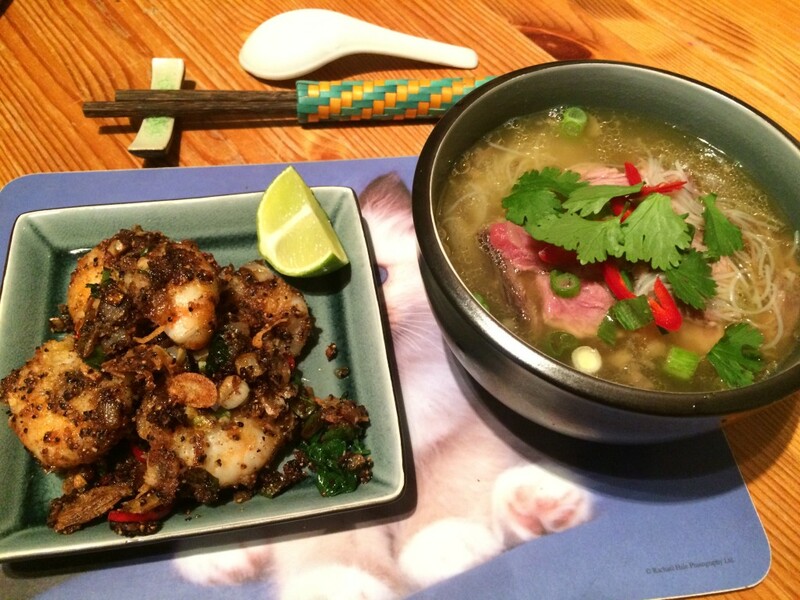 Both dishes were very easy to make: everything to do with the prawns was last-minute, and I’d definitely make them again. 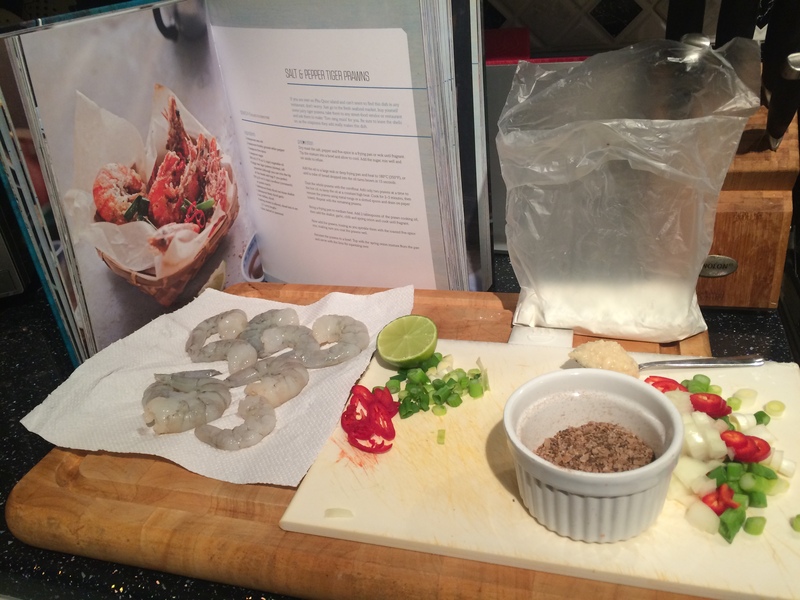 I found them a bit too salty for our tastes (I know they are salt and pepper prawns but it really was a bit too much), so in the recipe below I have reduced the amount of salt accordingly. With the beef noodle soup, I made a few tweaks to Nguyen’s original recipe due to availability of ingredients, and also to avoid some cheffy processes which would only add to my washing up bowl. In the original recipe, Nguyen just uses the oxtail to make a stock, but I also stripped the meat from the cooked oxtail to bulk out the broth. It would be such a waste if you were to just chuck it in the bin! 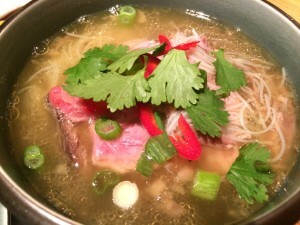 You serve the noodle soup in a bowl to which you add raw sirloin – as the hot stock cooks the meat. It really does cook the meat quickly, so don’t be nervous if you are not a fan of rare meat, and the flavour and tenderness of the sirloin is truly exceptional. 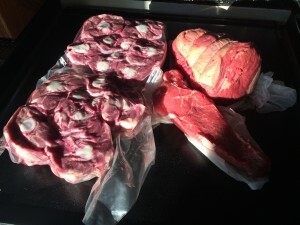 Again, it comes down to the quality of the meat you choose, so pick a good butcher! The recipe below made enough pho for Andrew and I to have a bowl each for dinner, a huge bowl for Andrew the next day, and a bowl each for us for packed lunch, so you can assume that this will feed six people as part of a larger meal. 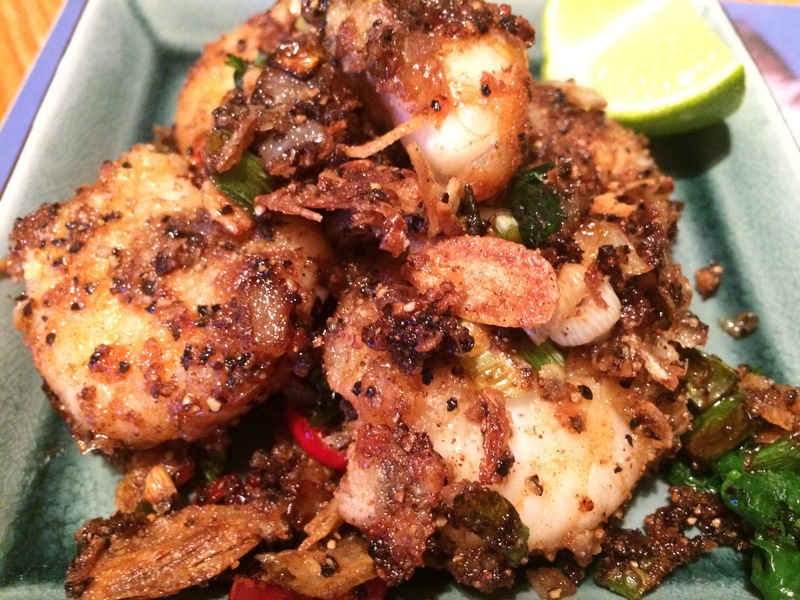 I would say that the prawns would serve two as a starter portion – you can just upscale the recipe by adding extra prawns, as there was plenty of salt and pepper seasoning for more prawns (or you could replace the prawns with squid). 2-3 large prawns per person would be a good number. I used peeled prawns even though the original suggests those in their shell – I hate mucking around with peeling prawns at the table. 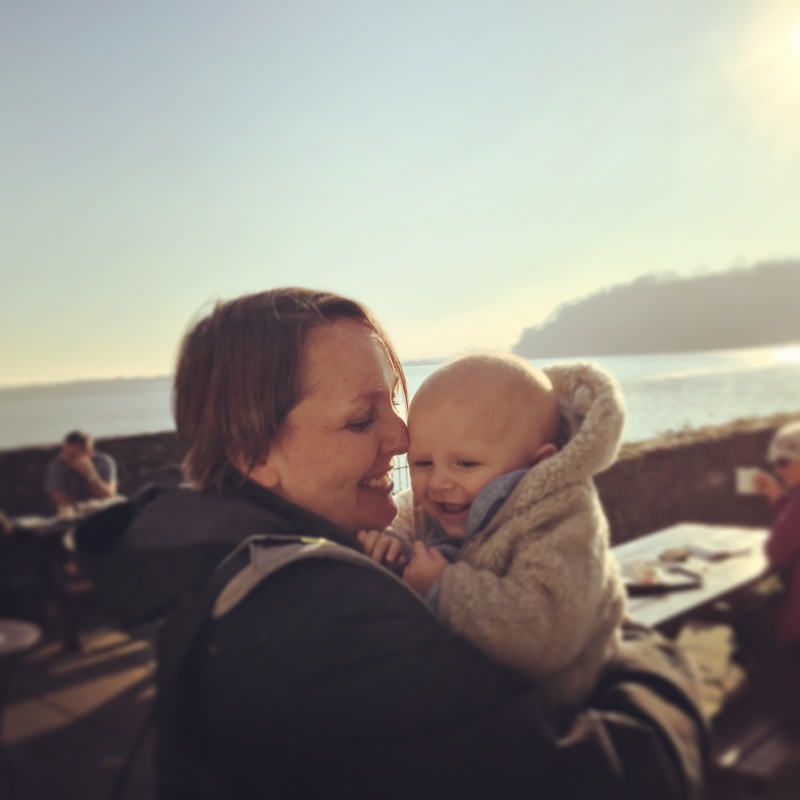 I hope you enjoy these recipes – do let me know if you try and make them yourself. Firstly dry roast the salt, pepper, 5 spice and sugar in a hot pan until you smell the spices. Set aside. Dust the prawns in cornflour (I did that by putting the prawns into a sandwich bag with the cornflour and giving it a good shake), and fry them in hot vegetable oil (Nguyen says to deep fry them but I just shallow fried them) for a couple of minutes. Remove the prawns from the oil and drain them on kitchen paper. Wipe the pan clean, add a splash of fresh oil and return the pan to the heat. Fry the onion, garlic chilli and spring onions until lightly coloured. Add the prawns back into the pan and toss with the salt and pepper seasoning until everything is coated and the prawns are cooked through. Serve immediately with a squeeze of lime. Put the oxtail in a pan of cold water with 1tbsp salt and allow to soak for one hour. Drain and put the oxtail back in a pan with the brisket. Cover with water (ideally you need 3 litres of water but my saucepan only held 2.5l with everything else in there!) and bring to the boil, then turn it down to a simmer. 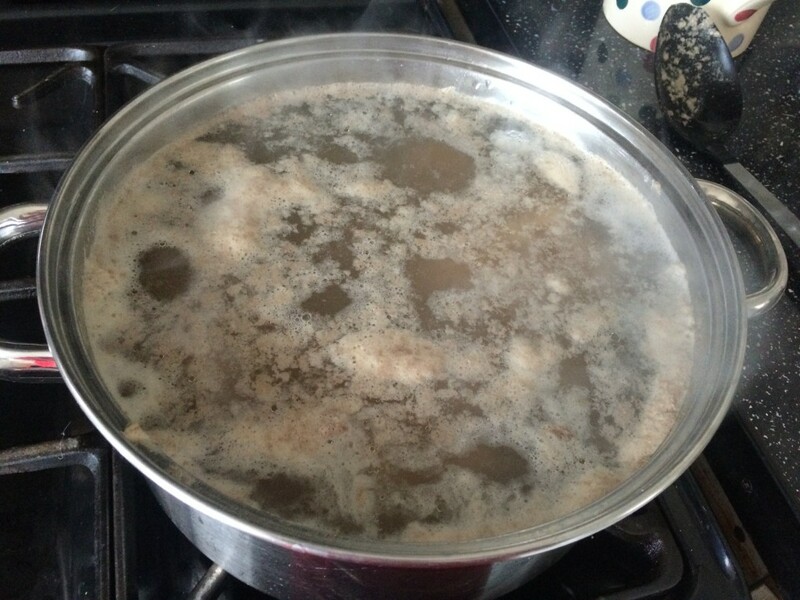 For the first 15 minutes make sure you skim away any scum which rises to the top of the saucepan – this will ensure that your stock ends up clear. Reduce the heat to a low simmer and add the peeled onions, ginger, cloves, star anise, peppercorns, fish sauce and sugar. Cover and simmer for 3 hours, by which time the stock will have reduced by around 1/3. Remove the oxtail and brisket from the pan and when the oxtail is cool enough to handle, strip the meat from the bone; slice the brisket and set both meats aside. Strain the broth to remove the spices. Add the oxtail and brisket meat back into the stock, and the pack of noodles (I used these from Ocado, which don’t need to be cooked, but make sure you cook the noodles first if you need to!). 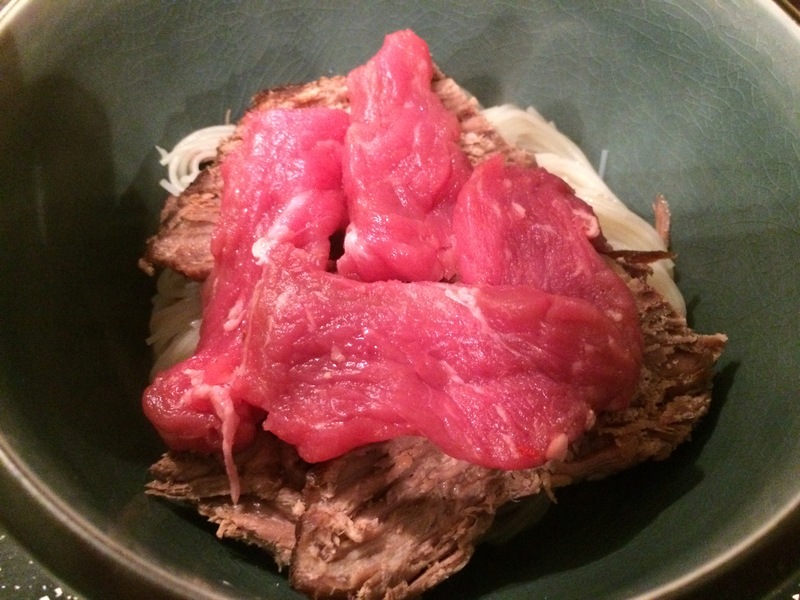 To serve, put some noodles, oxtail meat and brisket into a bowl. Top with sliced raw sirloin and cover with a ladleful of hot broth. Add some sliced spring onions, coriander, sliced chilli and a squeeze of lime. Eat with great pleasure! I think this was the guy who was on Sunday Brunch yesterday morning? Nope – just checked it was Bobby Chin!